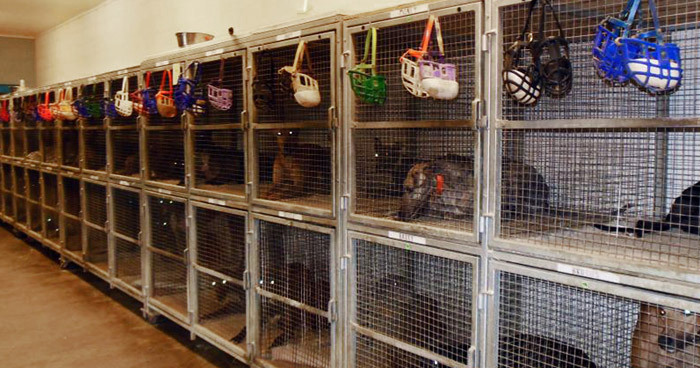 Racing dogs spend long hours confined in cages. 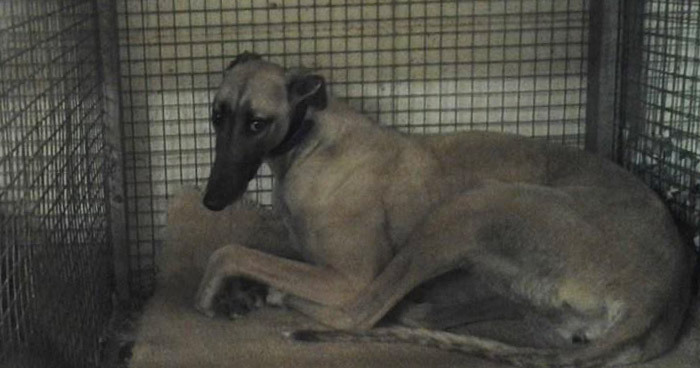 Caged greyhounds at a racing kennel in the U.S.
A puppy bred for racing in the U.K.
Greyhounds like Kiowa Try Thelma have tested positive for cocaine. Our mission is to bring these dogs from cages to couches. 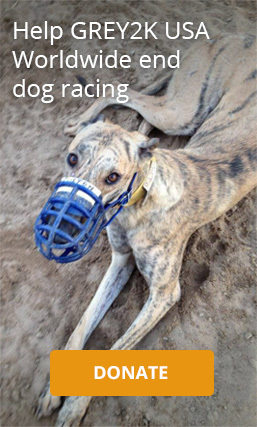 GREY2K USA Worldwide is dedicated to ending the cruelty of dog racing and promoting the adoption of ex-racers. Throughout the racing industry, greyhounds are subject to standard practices that are cruel and inhumane. Racing dogs are confined for 20 to 23 hours a day in rows of stacked metal cages that are barely large enough for them to stand up or turn around. 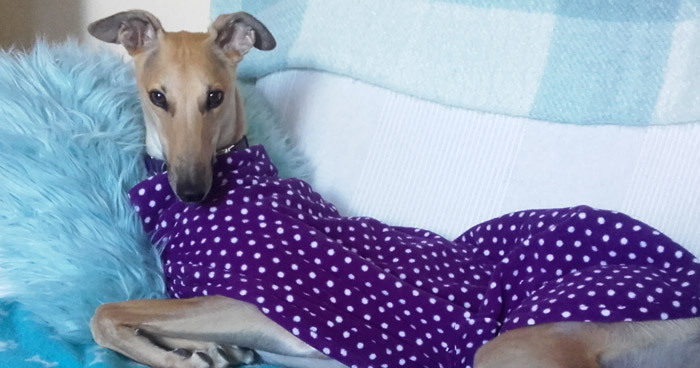 At tracks across the world, greyhounds routinely suffer broken legs and other serious injuries. 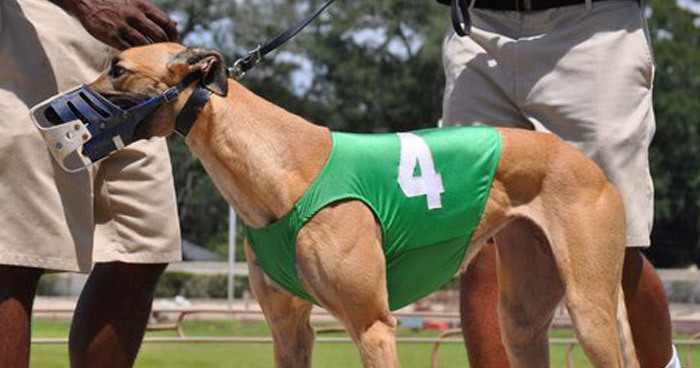 In the state of Florida alone, state records show that a racing dog dies every three days. Additionally, many greyhounds test positive for serious drugs, including cocaine. Join us to save dogs!